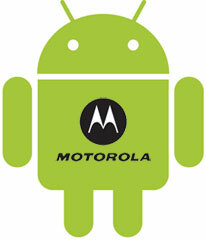 Google announced they are putting in a bid to acquire Motorola Mobility. The shocker is how much they paid, "for $40.00 per share in cash, or a total of about $12.5 billion, a premium of 63% to the closing price of Motorola Mobility shares on Friday, August 12, 2011." A 63% premium! Google clearly bought Motorola for their patents, because Apple and Windows are really going after them. Google wrote, "Our acquisition of Motorola will increase competition by strengthening Google’s patent portfolio, which will enable us to better protect Android from anti-competitive threats from Microsoft, Apple and other companies." Anyway, there is a lot of questions and speculation of what this means for the Android business. Google's dominance in mobile and of course, Motorola's future.